1. Jerk, curry, patties…it’s all about the food. With a cultural heritage extending from indigenous to West African, European, Indian, and Chinese, Jamaican cuisine is delicious and diverse. Breakfast means it’s time for the national dish — seasoned ackee. The national fruit is cooked when ripe, scrambled with saltfish, and served with sides of dumplings, breadfruit, and yam. Throw in a cup of cornmeal porridge if you’re still hungry, and wash it all down with a cup of Blue Mountain coffee. Lunch typically consists of a heaping plate of coconut rice n’ peas that might be served with brown stew chicken or curried goat. And with locations all over the island, there’s always the opportunity to stop for a stuffed patty snack from Tastee. Or calm those hunger pains with roasted peanuts and fruits; there are mobile street carts selling food everywhere. 2. And you haven’t had Jamaican jerk until you’ve tried it here. Hot off the pimento wood fire and topped with homemade jerk sauce — that’s the way it’s meant to be. Head to a jerk centre, an open-air roadside restaurant serving local dishes, and order your preferred portion of chicken or pork by the quarter, half, or full. Roadside jerk pans are also ubiquitous on the island. For the best jerk, head to Boston Bay on the east coast. 3. “Everything’s gonna be all right” is a Jamaican philosophy, not just the lyrics to a Bob Marley tune. These responses point to the belief that there are no problems that can’t be fixed. Jamaicans have an aptitude for remaining positive. It’s a belief rooted in faith, and not letting their struggles overshadow the present moment. No matter the issue, it’s still going to be fine, because there’s always a solution. 4. River bathing is just as good as beach time. Islanders enjoy the beach, but they also love their river wata. On a hot day, there’s nothing more soothing than swimming in a cool river under the shade of the tropical forest. And it’s a great way to enjoy Jamaica’s inland beauty. Check out Mayfield Falls to hike and dip, or Steven’s Aqua Nature Park in Negril. On the north coast, White River beckons with its turquoise waters. 5. It’s easy to get away from the tourist crowds. It’s true that Jamaica is one of the most popular destinations in the Caribbean. But this doesn’t mean your only options are crowded beaches and packed all-inclusive resorts. Head east to Port Antonio and find the Jamaica that always was — filled with more nature than people, quiet public beaches such as Frenchman’s Cove and Boston Bay, and fishing village vibes. In Treasure Beach, on the south coast, you’ll find tranquility — there’s only a handful of small guesthouses here and quiet black-sand beaches. 6. This is where vegetarians and vegans find their bliss. That’d be thanks to the Rastafari who run Ital organic restaurants where no meat products are used. Instead, they dish out tasty plates of callaloo, ackee, and soups. 7. Dunn’s River Falls isn’t the only stunning waterfall around. Yes, the tourism brochures rave about Dunn’s River Falls, featured in James Bond’s Dr. No, and practically all the tour operators are ready to whisk you here. But while Dunn’s River doesn’t disappoint (except sometimes for the crowds), there are even more stunning waterfalls in Jamaica. One is YS Falls, on the south coast and accessible from Negril. On the way to Port Antonio, Somerset Falls is unique for its canoe ride to reach the cascading waters before dipping in the pools and exploring the caves. And in a remote corner of the east coast are the multilevel emerald pools and cascades at Reach Falls. Tucked within a rainforest park in the Blue and John Crow Mountains (a UNESCO World Heritage Site of their own), they’re my favorite spot on the island. 8. There are mountains and cool temperatures. Most visitors stick to Jamaica’s beaches, but in doing so they miss out on one of the island’s most spectacular landscapes. At 7,500 feet above sea level, the Blue Mountains are a short drive up a winding road from Kingston, taking you to cool temperatures and incredible views. 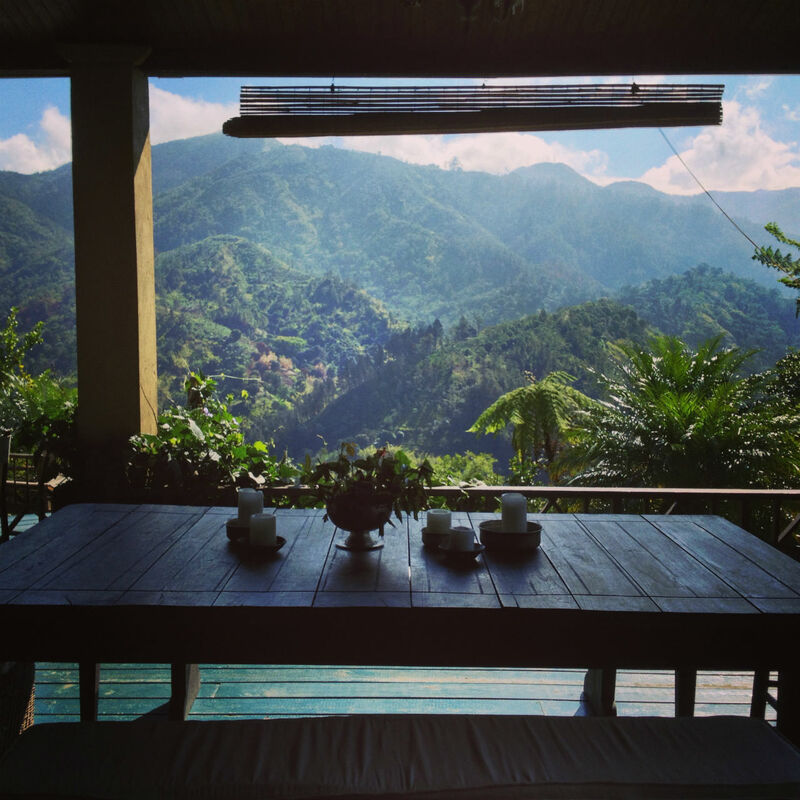 This area is also home to coffee plantations where you can hike and sample some of the most sought-after beans in the region. Stay overnight at a mountain cabin, grab brunch with a view at the luxurious Strawberry Hill Hotel, and go mountain biking to take in more of the scenery. 9. The sunsets are legendary. Jamaica’s sunsets are nothing short of spectacular, and come with the occasional green flash. 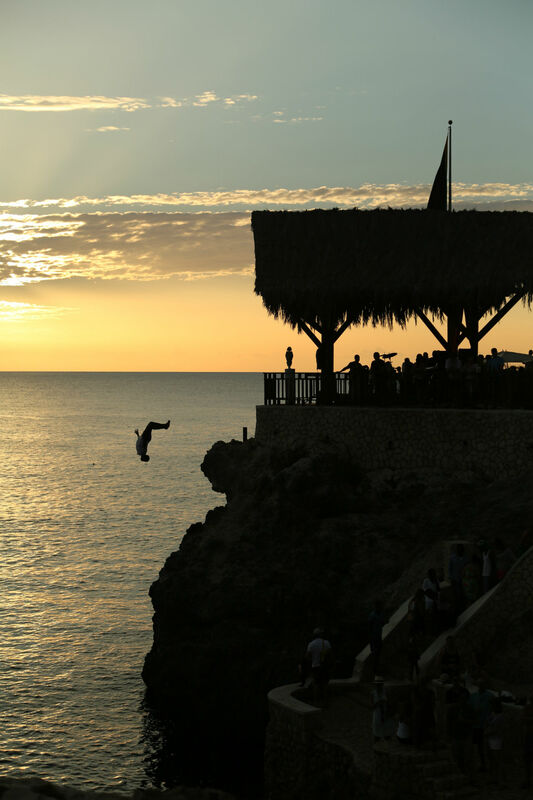 Catching a sundowner with a drink and friends is the way to end the day, particularly in Negril, where the views are unmatched. As the sky turns all shades of orange and red, sip on cocktails at Rick’s Café — a touristy spot that’s also popular with locals simply for the views — or escape the noise at any number of adjacent smaller bars. In Montego Bay, Pier 1 is the best bet for a sunset view, while on the south coast Lovers Leap sits atop a 1,700ft vertical drop with panoramic view across the coastline. 10. You won’t leave without making a friend or two. 11. Learning a little Jamaican Patois is key. Picking up a few words of Patois is part of the fun of visiting Jamaica. These “Jamaicanisms” will also go a long way when you’re meeting locals and getting around. For starters, there’s Wah gwaan — “what’s up?” You’ll reply everything cool or everything criss — “everything’s fine.” Other common words include gyal for “girl,” irie for “wonderful,” bredren for “friend,” big up yuhself for giving props to someone, and likkle more for “bye / see you later.” It’s also not unusual for men to call female friends and visitors princess or empress — enjoy it while you’re there! 12. There’s always a reggae or food festival going on somewhere. From music to food, Jamaicans love to celebrate their culture. There are festivals year round that visitors will stumble on, or around which they can plan their visit. One of the most popular music shows is Rebel Salute, an all-nighter reggae concert that takes place every January. 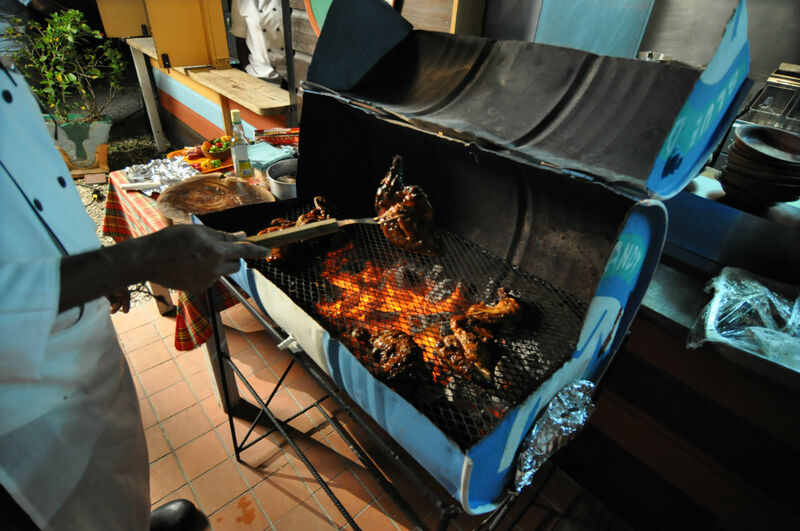 On the food side, Portland’s and Negril’s Jerk Festivals — in July and November, respectively — are amazing. And on the Jamaican north coast is the Nyam Jam Festival, hosted at GoldenEye in November, a weekend event that showcases top Jamaican chefs as well as international guests. Maybe it’s the beat of the drums and reggae, the friendliness of the people, or the unforgettable scenery of beaches and hills, but it’s hard to disagree with the phrase coined by the Jamaica Tourist Board — this island really is the “Home of All Right.” To truly understand what that means, you have to come and experience it for yourself.